I feel so torn about writing this review because I love this product so much but the photos just make each shade look the same! I'm hoping by the end of it though you are compelled to go out and buy at least one! Yes I know that you are hurtling into winter in the Western world and out of lip gloss season but here in Dubai the fun and tolerable sunny season is just beginning. 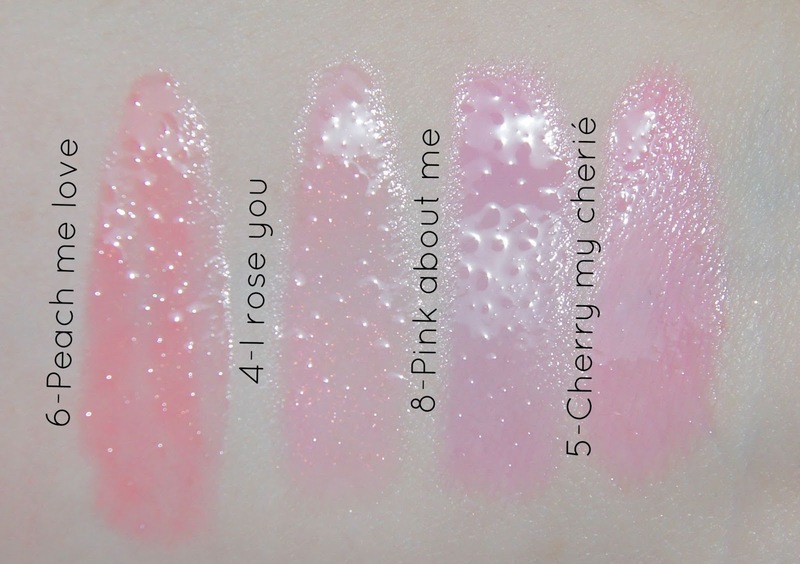 I wrote a review of my first Volupté Tint in Oil Peach me love back in March and I just adored it. It was a gloss like I hadn't really experienced before. The initial application was incredibly glossy with a mirror like shine and tint of colour. The second coat built up the tint more. But the magic happens when the gloss dries down. A definite long lasting stain you didn't even know was there has developed and will envelop your lips for hours. 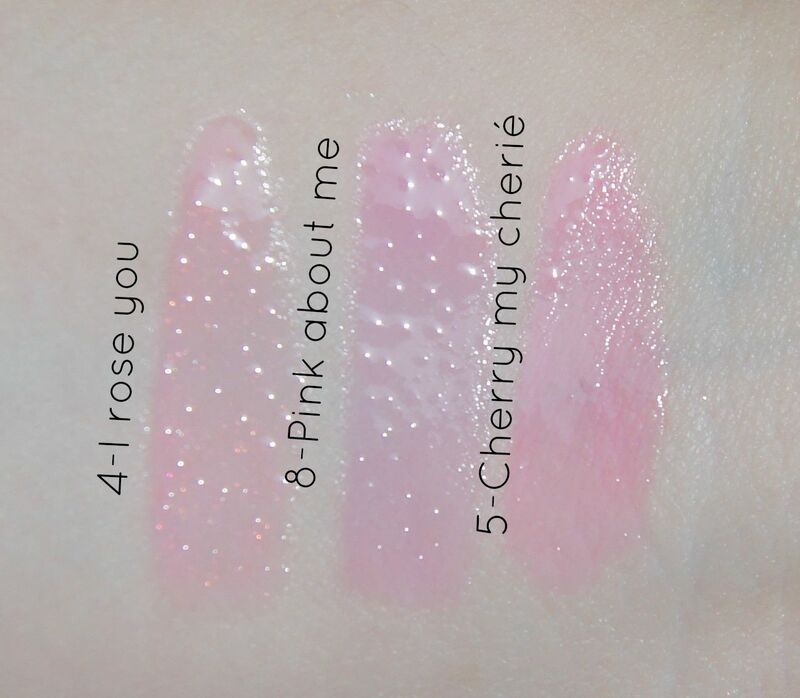 They swatch very sheer. Go and swatch one on your hand next time you're shopping. Then walk away and continue shopping. 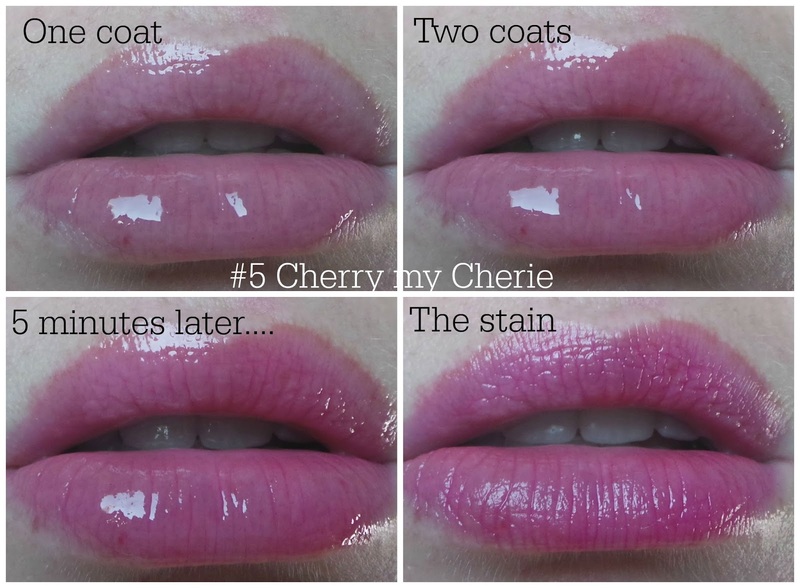 When you check back you'll see the swatch has dried to a stain and that's the colour you'll get on your lips. Despite the name the formula feels like water on the lips without any oiliness. 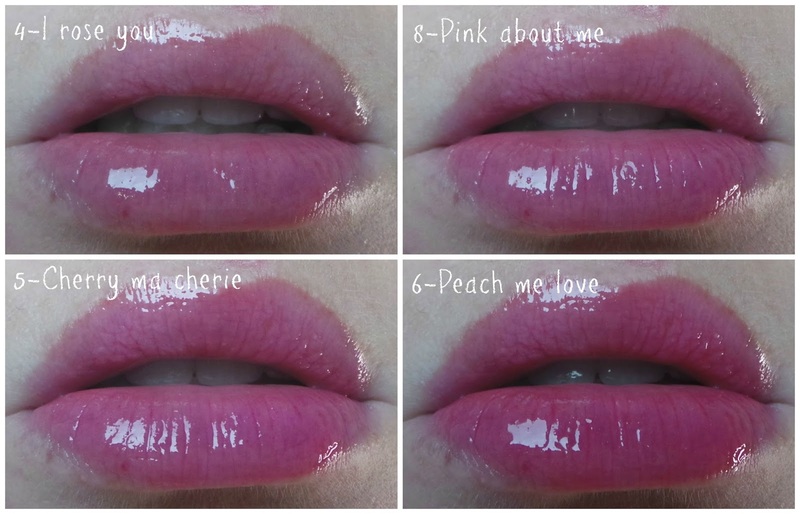 The oil's (apricot kernal, jojoba seed, coriander fruit and possiflora edulis) hydrate and condition the lips. And the packaging....speaks for itself! I've tried to show below how the colour develops and the stain you get left behind. Ok so you don't need them all. But you at least need one. And then come and tell me you don't need more.